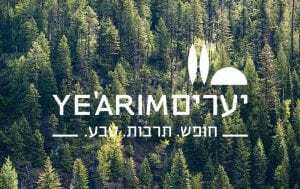 Situated in the heart of the Jerusalem Hills, the Yearim Hotel serves as a base for tours in the vicinity that are no more than a short drive away. Many of the routes are easy and comfortable, and they are fascinating. Routes can be covered by foot, car, bike, or by combining a short drive with a pleasant walk and the opportunity to enjoy nature and the excellent air. is located. The monument standing atop radar Hill and honoring the Harel Brigade, is Mt. the battles that took place in the area, along with an exhibit of tanks and armored vehicles. plain to the West spread out before you.